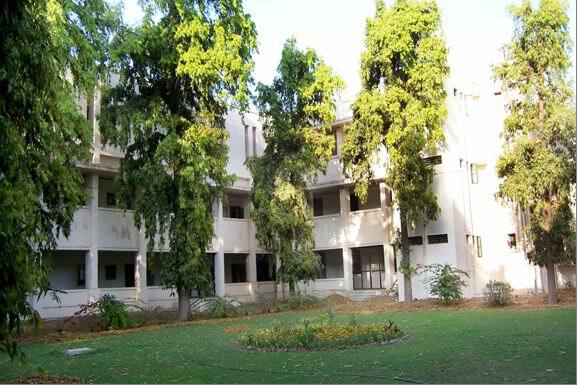 Gujarat University, Navrangpura, Ahmedabad - 380009. The Hindi Department of Gujarat University is an integral part of University School of Languages, which was established back in 1968. Dr. Ambashanker Nagar, the founder head of the Hindi Department, a scholar of national stature has contributed richly and uniquely through his distinguished scholarship in the area of medieval and bilingual Gujarati poets who wrote in Braji. Dr. Bholabhai Patel a renowned translator and Professor of Comparative Literature, National Sahitya Academy award winner, both for original and translation work; he has also been awarded the prestigious Emeritus fellowship, was a distinguished faculty of this department. Similarly, well-known writer of Gujarati, Central Sahitya Academy award winner, Professor Raghuveer Choudhary, was also a distinguished faculty of this department. Dr Ram Kumar Gupta and Dr M.S.Chouhan were also the distinguished faculties of this department. Dr M.S.Chouhan later became the Pro-Vice Chancellor of North Gujarat University. All these distinguished personalities with their unique vision have helped to shape the department, help it grow and prosper and have enabled the present faculty to further develop the department according to the present day needs. 2) Soor Panchashati Seminar 1982. 3) Non Hindi Writers Workshop 1979. Abut more then fifty student�s have submitted their PhD�s to this date. 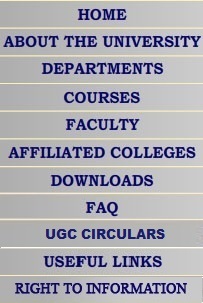 The department provides Ph.D. guidance .We have three Ph.D. guides at present-Dr.Ranjana,Dr. Alok and Dr.Krishna Goswami. The department uses the common facilities available to the other departments, such as class- rooms, departmental library, reading room, toilets etc. The department has one computer each for every faculty plus two printers. It also has an O H P for presentation purpose. Looking to the present global situation and job scarcity, the department has started a new one year �Post-Graduate Diploma Course in Translation.The Department arranges various lectures by Scholars, various programmes related to literature and literary studies. The Department encourages its students to join the various programmes organized by Ministry of Human Resources, like �chart adhyayan yatra�, �Writers workshop� etc. The Ministry has selected some 10 to12 students. Specialization : Paper-7 Translation, Novel Drama, Comparative Literature, Functional Hindi. Courses Offered at : In the University School Of Languages building. Future Career Opportunities : Teaching job at School& College level, Jobas a translator & Hindi Officer in Central Government Offices. Subject Offered : Paper -1- Research Methodology. Paper-2- Hindi Sahitya Ki Vaicharik Prishthabhomi. Duration : 1Year. (For Theory) A total 2 1/2 years for submitting dissertation from the date of Registration. For reserved category candidates different Scholarships are available. Future Career : Teaching job at School, College & University level. Admission Process : By Entrance Test & Interview. Courses Offered at : In the University School Of Languages building . N.G.O�s, Newspaper, Advertising Agency etc. Qualification : M.A., M.Phil, Ph.D.